Home > Special Offers > Sales > Save on the 2019 Jetta! 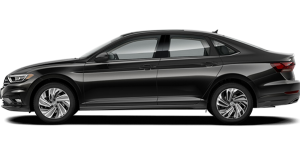 Save on the 2019 Jetta! It pays to be an owner. 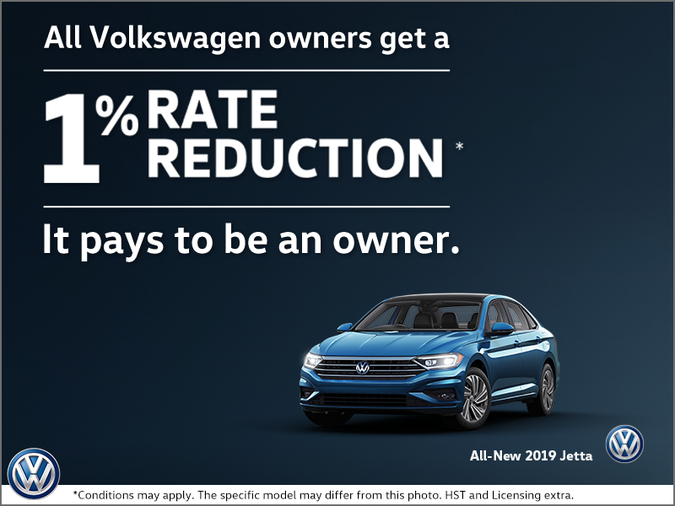 For a limited time only, current Volkswagen owners can get up to a 1% rate reduction on the new 2019 Jetta! Act fast, this offer ends on January 2nd, 2019! Contact us today to book your test drive! * Offer applies to current Volkswagen Finance Special Lease and Special Finance Rates, on approved credit. The loyalty interest rate will not be below 0.0%. The offer is available on all new and unregistered 2019MY Jetta models. Current Volkswagen owners, and previous Volkswagen owners who leased or financed with Volkswagen Finance within the past 90 days (some exceptions apply) are eligible for this offer. Valid identification and proof of valid ownership is required. Current Volkswagen Finance accounts must be in good standing. Volkswagen vehicles currently being financed/leased with Volkswagen Finance are not eligible for the rate reduction. Offer is transferable to Primary/Co-Primary buyer and/or another family member in the same household. Offer is non-exchangeable for cash. Offer expires January 2, 2019 and is subject to change or cancellation without notice. Visit your Volkswagen dealer for details. US model shown. “Volkswagen”, the Volkswagen logo and “Jetta” are registered trademarks of Volkswagen AG. © 2018 Volkswagen Canada.